.In this transition, the old story of who we are, what is normal, what is possible, what is real, and how to live life falls apart, as we prepare to step into a new story of greater wholeness, love, freedom, and connection. This is a sacred time, though our culture gives it little breathing space as it seeks to corral us back into the old story. Sometimes, it is an abyss, dark, lonely, and seemingly endless. Other times we find a ground beyond story, a security entirely independent of predictability or control, and we are filled with light and serenity. .This retreat is designed to provide the validation and support that our culture withholds to those going through this special time. Recognize you are still in an old story that is no longer able to hold you, and you perceive that it is coming to an end. Are recently emerged into a new story but still uncertain there, and the space between stories is still fresh in your mind. You feel an unreasonable Yes toward this retreat! 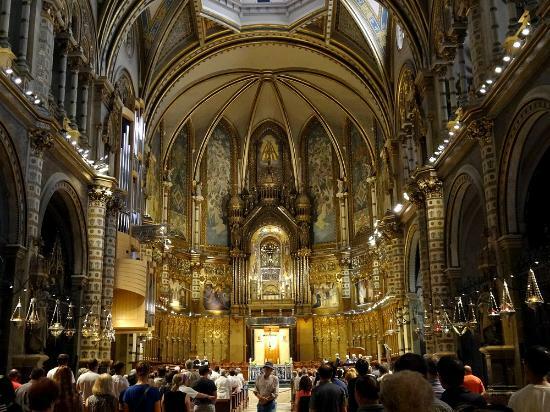 Montserrat Monastery is a Benedictine monk retreat about an hour's train ride, northwest from Barcelona city. 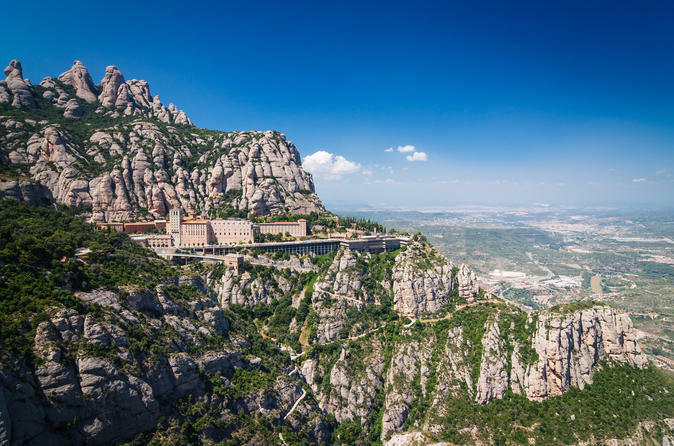 We will be staying at Hotel Abat Cisneros situated in Montserrat Monastery itself. The Hotel Abat Cisneros has provided accommodation for Pilgrims since its original construction in 1563. The simple accomodation lend itself to quiet meditation/contemplation, the background noise is simply the Monks choir or Church bells. As the rooms were provided primarily for spiritual retreats, there are no double beds, and mainly have twin beds - you have the option to pay for a single room if you'd prefer a room to yourself. All rooms have bath or shower, satellite television, telephone and free internet access is available in the lounge area. All transfers (to and from Barcelona airport) and breakfast is included. You will be able to buy lunch and dinner in one of the restaurant and cafes in the area (there is a restaurant in the Hotel as well). Once your place has been confirmed we will advise you on flight booking and insurance details. You will purchase flights and insurance separately. Once your booking has been confirmed we will contact you. All deposits are non-refundable. If you have any queries then please call Venetia in the office on 0207 287 6711 or email me atVenetia@alternatives.org.uk.